This area is a tourist spot natural forests with a variety of games and a collection of rare animals. Here you will find a mini zoo with various animals such as monkeys, birds, snakes, and fish. among others, Burma Bridge, spidernet, Posman, Tarzan swing, donnat balancing. Natural forest atmosphere is perfect for family entertainment. 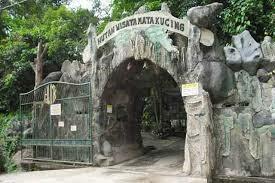 Besides, Jungle tours in Mata Kucing is also often used as a tracking / outbound.